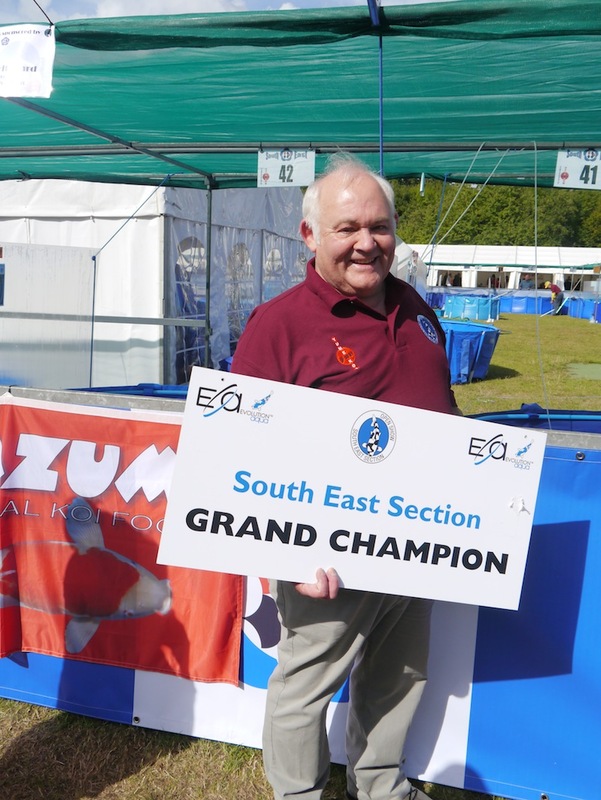 The South East Section International Koi show staged 28th. & 29th. August 2011 was undoubtedly the largest and best attended Koi show in the UK this year. The standard and number of high quality entries was by far the best the UK had to offer and below is the Kohaku that deservedly took the award of Grand Champion. Here’s the story behind the Koi. In autumn 2003 I spent the whole of October and November in Japan searching for stocks for myself and also for those to be found for guests who accompanied us over the weeks. As usual there were several Koi in various outlets that caught my eye and mental notes were made to re-visit them when passing to give them another once-over. 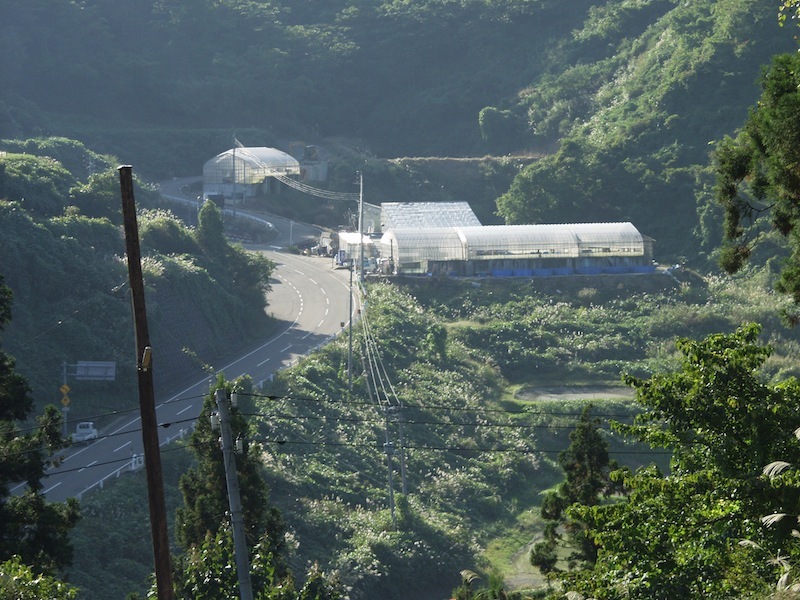 One such outlet was Seitaro then based near the Utogi tunnel although he had just taken over another facility near Aikawa. All manner of varieties in many sizes and qualities are produced are produced at this farm from cheap, volume Koi right up to very special Koi but these very special are generally kept away from the main sales ponds. Reasons for this is that they are costly and would make the cheaper Koi look less tempting to the volume buyers. I had my eye on several Koi there and kept checking back to see if they were still there on many occasions as we passed by. As the end of the trip approached and all the guests had left, Dennis and I paid a visit to see some Koi we were really interested in checking out much more closely. At Seitaro’s facility there were five Kohaku and one Sanke and, as luck would have it, all six were there still for sale. All the Koi were female and yonsai, which meant they were 3.5 years old at the time. I asked to see all the Koi in a very large bowl to inspect them closely and also get the exact sizes of each one. A large show pond was erected and aeration was added, soon after all the Koi were there before me and after a few seconds I asked the two sons to return one Kohaku to the pond it came from as there was a deformity on the dorsal fin. After sizing each one to find them all between 65cms to 72cms I asked the prices of each Koi individually and then asked the price for all five Koi as a single purchase. The price for all five was fair and soon after I had paid the asking price and the five Koi were mine. They all travelled back in perfect condition and by December 2003 all five along with many others were photographed and put on the website. The Kohaku in question was the best of the five by far and so it rightly carried a higher price. The other four were sold within weeks but the Kohaku remained on sale until spring 2005 – some 18 months later. That was until Paul Williams rang and asked if the Koi was still for sale. I’d only seen Paul once or twice before in my shop always accompanied by Colin Physick who had been a customer for many years. I replied that the Koi was still for sale and he asked me to keep it as he wished to buy it and gave me a date he would drop by to collect it and pay. I still recall the moment my guys were placing the double bag with the Koi inside into the carton when I asked Paul – ‘Have you any idea just how good that Kohaku is’? Paul looked at me and replied – ‘Colin said to buy the Koi because it’s exceptional’. Paul has owned the Kohaku since spring 2005 so, by my calculations, that’s just over six years and in spring 2012 she will be 11 years old and the truth is – she is STILL tategoi! 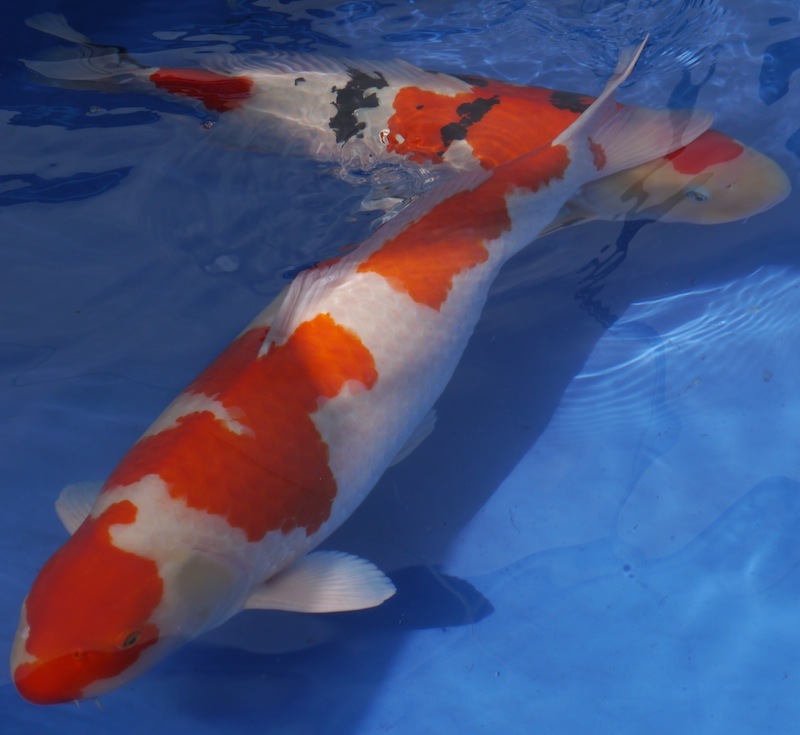 Take a look at the bodyline of the Koi (no hump behind the head), which indicates there’s more growth yet to come, and the even quality and texture of the perfect beni pigmentation from head to tail. It’s a pity that the Koi was not sized at the show in centimetres instead of merely ‘Size Seven’ but she seemed to be well over 80cms to me? It is the Koi keeping skills of Paul Williams and the care he has given to the Koi that makes it the stunner she is today and she still has some way to go. I attended the show for a few hours but had no idea Paul was entering Koi, when I was pointed out the Koi that had been awarded Grand Champion I simply could not believe my eyes. A few minutes later Paul came over, we hugged each other and Paul actually wept on my shoulders! Now Paul, she has the genuine possibility of reaching over 90cms. The question is – ‘Can you do it’?